Local press here in Cantabria (Spain) announced a new outdoor show next year. 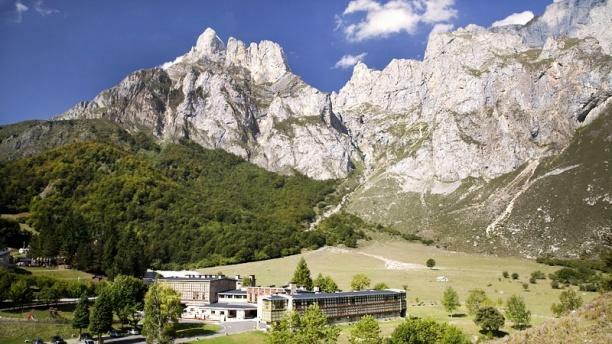 It will be somewhere in Liebana (nice place sorrounded by mountains) in april 29. I live quite close to that region and I thing the best place there for a Jarre concert will be Fuente De. A kind of Zermatt part 2 scenary. This will be the announced concert in Palacio de la Magdalena, Santander. I seems there was a mistake with the location rectified in the last hours. Sorry but I have not seen it before. Anyway, the actual location is not decided yet but it will not be Santander but somewhere in Liebana (about 120 km from Santander) according to a note send by JMJ himself to the local press. Yesterday's newsletter says this was the European leg of Electronica world tour. So now he'll have only 6 continents left? Africa, Asia, North America, South America, Australia and Antarctica. Oxygene, Pt. 17 taken from the brand new album Oxygene 3. Any idea if it is an Electronica concert or Oxygene 3 concert?. Coachella has been romoured for some years now. We can calm down this year too, no our man perform this year, it's official. And all together , on globe tour, I have doubts. Knowing that he tries to perform in , e.g., New York since somewhat 1979..? He is working with a completely new production team and there will also be new musicians on stage (with all respect to the people he worked with in the past). Because of the character of the "Electronica" project he wanted to set up something completely new. So musically and visually it will be different. Besides music from "Electronica" he will also play some classics from "Oxygene", "Equinoxe" etc. He wants to create a link also to the younger generation, especially at the festivals. The concept of the concerts will absolutely not being based on the presence of collaborators. It will definitely be Jean Michel Jarre concerts, although there will be some collaborators present from time to time. The tour will also go to Asia and America and return to Europe in summer 2017. Except some details, the all above proved to be true! So the track "Web Spinner" has been played as a live treat right after "Cirkus" at most of the gigs since June 17, 2016 at Sónar. But did JMJ ever officially presented the track as Web Spinner? among a bunch of other unheard titles that probable got renamed for the album release. Or did they? Is it possible that some of them just haven't seen the light of day yet? But did JMJ ever officially presented it as Web Spinner?